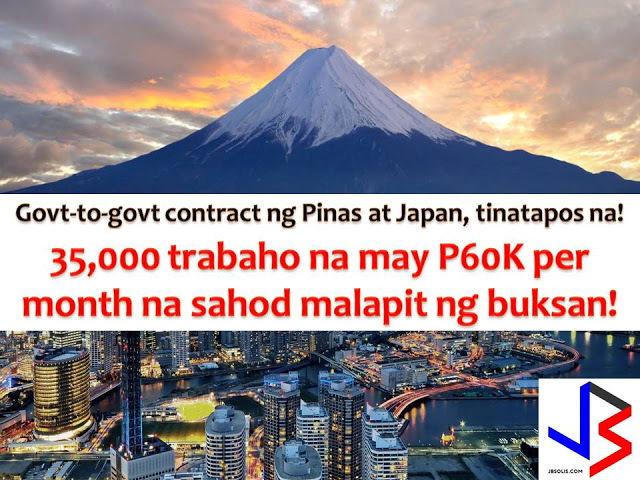 Japan is one of the countries in the world, Filipino wants to visit due to its beautiful scenery and tourist spots such as the famous cherry blossoms, temples, Disney resort in Tokyo and many others. 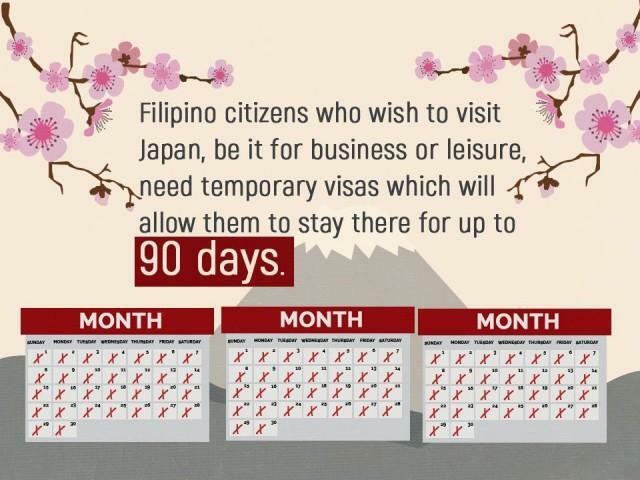 But since the Japanese government has yet to grant Filipinos visa-free access. Many people think it is hard to get one that becomes a hindrance to their travel. 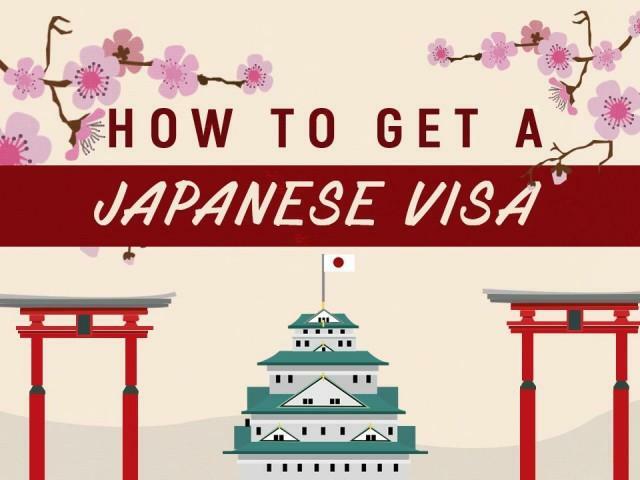 Nowadays, it is much easier to go to get a Japanese visa and fulfill your bucket list and visit the Land of the Rising Sun. 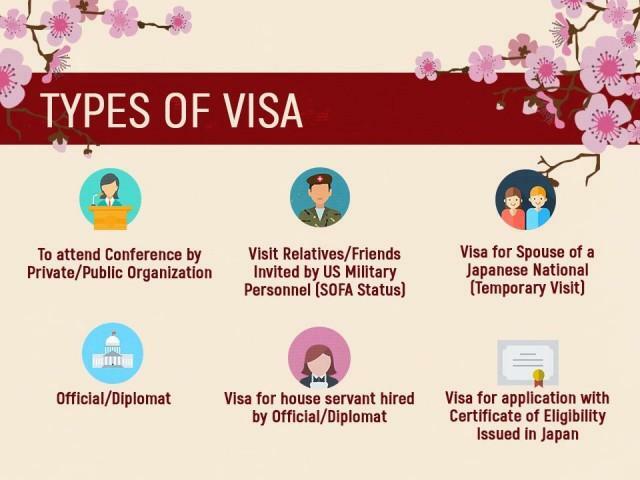 Since 2014, Japan has implementing relaxation of visa requirements for nationals of Indonesia, Vietnam and the Philippines with the objective to promote the country as a tourism-oriented country with the even higher goal of attracting 20 million foreign visitors. 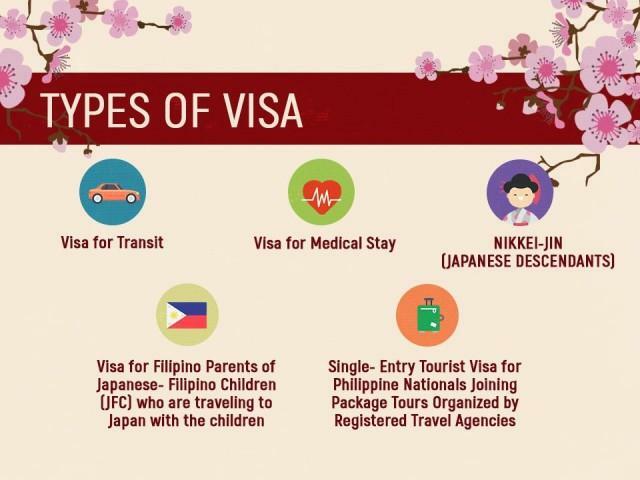 Filipino tourists who have visited Japan at least once could already be granted multiple-entry visas good for five years. One copy, 4.5cm x 4.5cm with white background. Daily schedule or your itinerary in Japan. 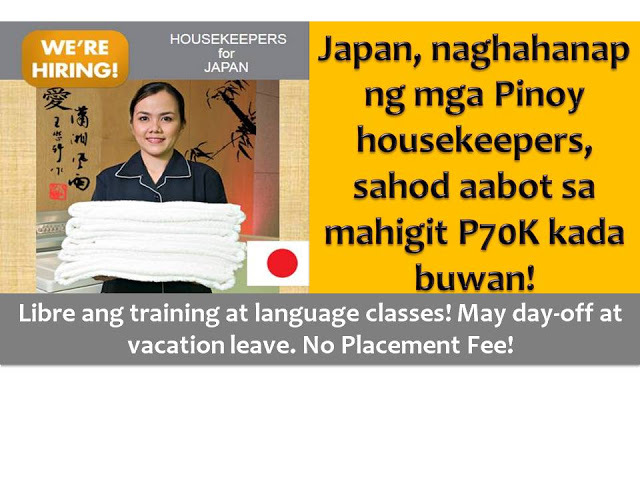 You can prepare this yourself or have your travel agency prepare it for you. Income tax return (ITR Form 2316). Bring both the original and photocopy. Bank certificate. This should be recent or within 3 months of submission of the application. 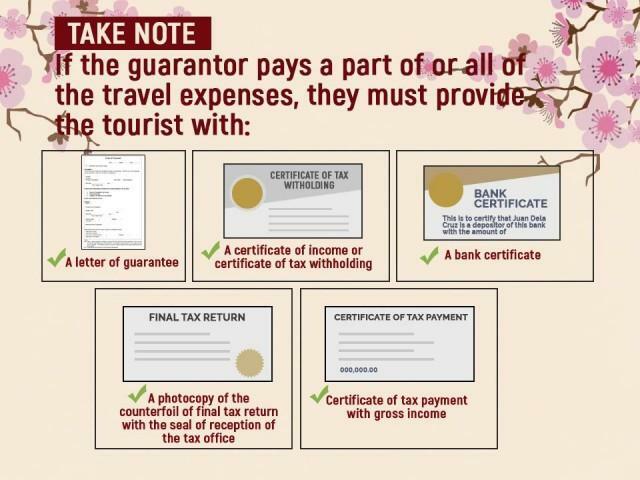 Remember the amount on your bank certificate should adequately cover your airfare and your stay in Japan. 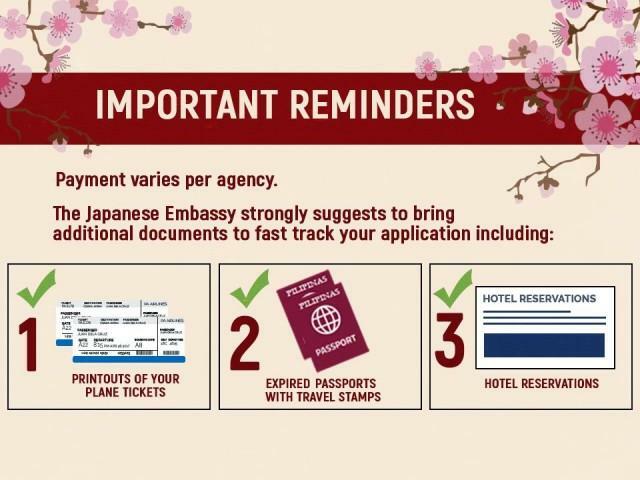 The following additional requirement only applies if your friend or distant relative in Japan will be the one to shoulder your expenses. Invitation letter from your guarantor. This must explain why you will be visiting and must have a signature. Must be issued within the past 3 months. 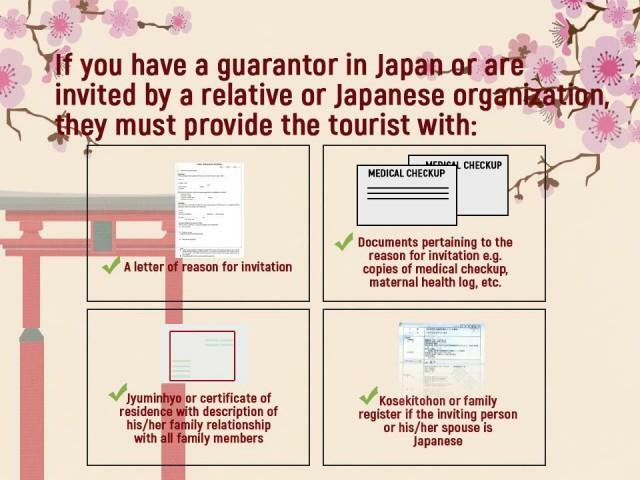 Residence certificate (Juminhyo) if your guarantor is Japanese OR Foreign Registration Certificate from City Hall if the guarantor is not Japanese. Must be issued within the past 3 months. Income Certificate (Shotoku Shomeisho) from City Hall, Tax return certificate (Nouzeishomeisho: Form 2) from Tax office (Kakuteishinkokusho Hikae), OR Bank Certificate (Yokin Zandaka Shomeisho). Close relative category applies to parent, child, brother, sister, nephew, niece, aunt and uncle. Invitation letter from your guarantor. Must be issued within the past 3 months. This must explain why you will be visiting and must have a signature. 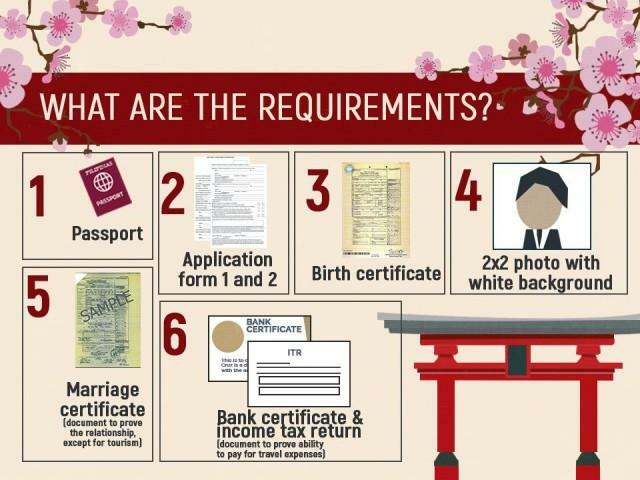 NSO Birth Certificates (BC) to prove your relationship. Must be issued within the past year. 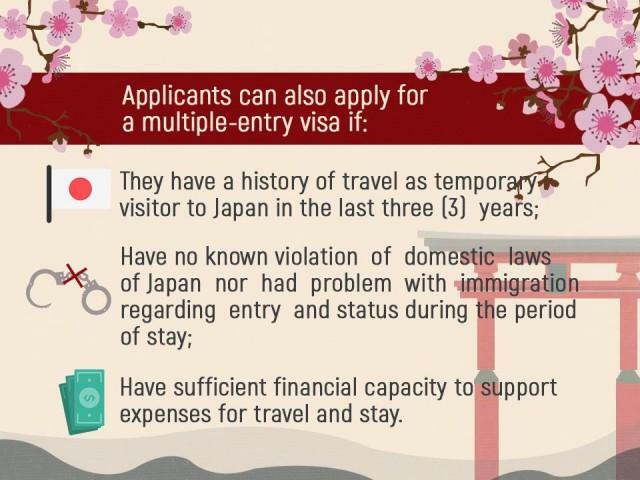 Personal appearance is not needed when applying for a Japan tourist visa. 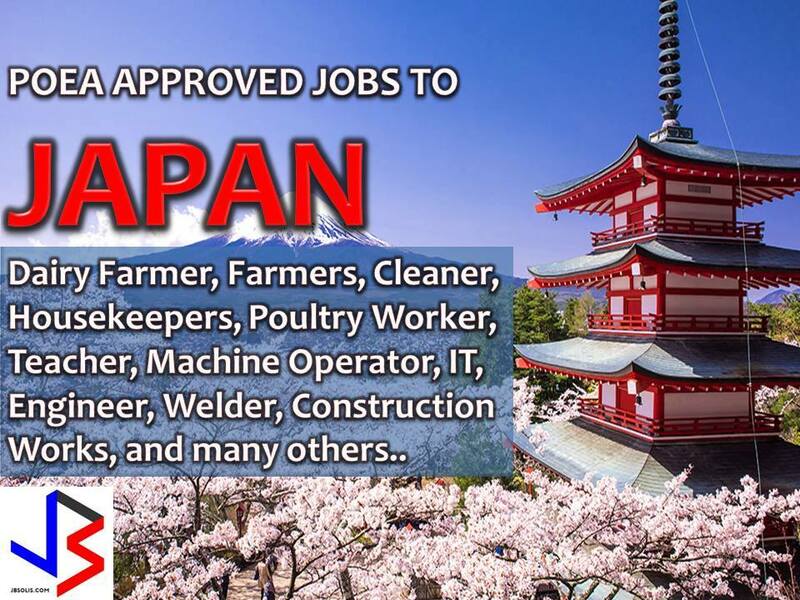 All applications are coursed through accredited travel agencies. 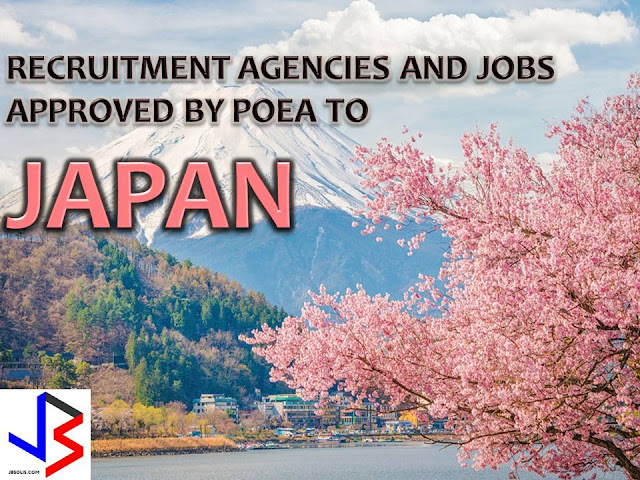 While the visa is free, the agency will charge a processing fee and rates may vary depending on the agency. 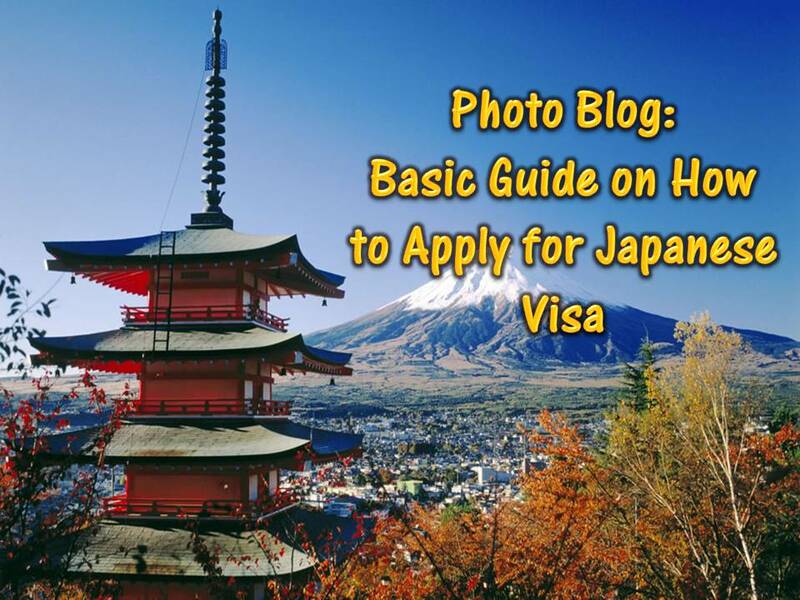 Visa processing normally takes 3-5 days, but sometimes up to 7 days. 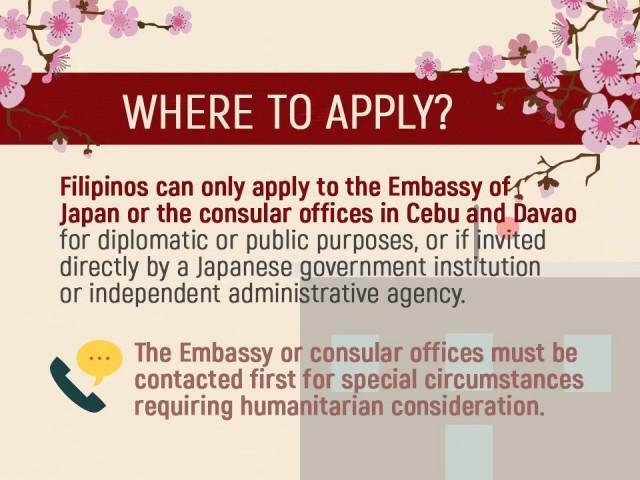 Review your application and make sure all requirements are complete. If you filled out the application form by hand, make sure it is neatly done. After you have submitted everything to the travel agency, there’s nothing left to do but to wait and hope for the best. 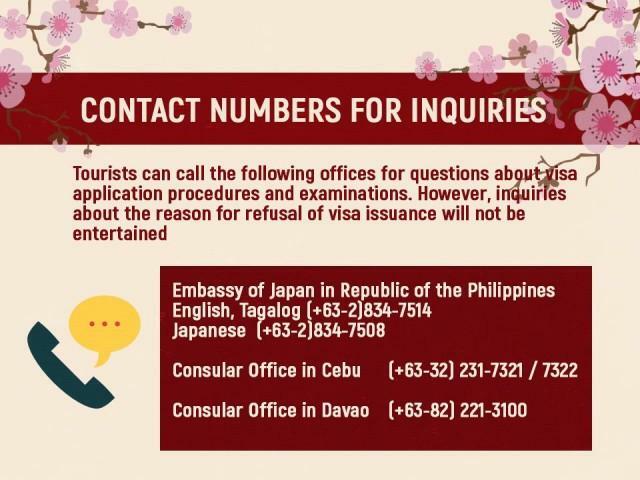 Your visa if approved will be either mailed to you to or you must claim at the office of your agency, depending on your prior arrangement.